In April 2015, Kathmandu was hit with a devastating earthquake reaching 8.1 in the Richter scale. There was a total death toll of 9,000 people, while 22,000 were severely injured. The vast majority of Nepal’s capital was torn apart, with entire families being displaced and losing all of their earthly possessions. Almost three years later, and after $4.1B in recovery efforts, 70% of all affected families are still living in temporary shelters. Eladio Pérez is a Spanish born engineer who in late 2016 decided to help with Nepal’s much needed reconstruction. However, he did not help out by fixing the country’s dire infrastructure situation; he focused on the most affected demographic –children– and used soccer as the vehicle for rehabilitation. Through his social project, Gol y Gol, Eladio and his two partners managed to procure all types of equipment for the children of Scholars’ Home Academy of Nepal necessary to practice soccer in the best available conditions in Kathmandu, in order to complete the academic curriculum of the school with a proper sports program. Mr. Hari Narayan Upadhyaya is the principal of Scholars’ Home Academy of Nepal and a true local celebrity in the Academics field. He is a Doctor in Mathematics and presented his thesis in the United States. He then returned to found a school in Kathmandu and help children become independent and own their destiny through the power of learning. His collaboration with Eladio and Gol y Gol quickly flourished into a prosperous full-fledged program –of both sports and academia– at the school. His efforts did not go unnoticed to Donosti Cup, the premier competitive U12-U18 soccer tournament in the world, which offered to grant Gol y Gol and Scholar Home Academy of Nepal entry to the 2018 tournament free of cost, plus cover their entire travel and stay costs for a team of 18 kids who will have the chance of a lifetime to experience an unforgettable trip and make their dreams come true. 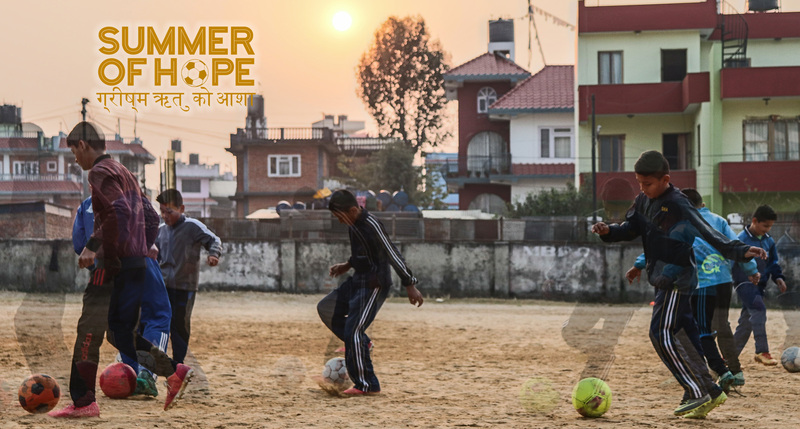 The Donosti Cup Foundation is proud to sponsor the Scholars’ Home Academy of Nepal in order to fulfill their dreams of playing soccer and leaving their communities to experience firsthand what life is like when you don’t have to constantly be worried about the bare necessities. Join us as we document the adventures of this group of 13-year-old Nepali kids, most of whom have never left their neighborhood, village or city, as they travel across the world in an self-enriching experience to exercise their passion against some of the best in the world. A life long TV and cinema producer and director, originally from Uruguay. With over 30 years of experience, in South America and the United States, he’s produced numerous sports TV shows, international games and programs, and in 2017 he released his first feature documentary “El Camino de Siempre”, about the life of Uruguayan folk and rock star Jorge Nasser. He was VP of Production at GolTV for 15 years, before founding his own production company, KRH Media. Sports journalist, originally from Spain. Has worked for almost 20 years in TV, print and online media outlets and covered some of the best events in the world of sports, like the football World Cup, NBA Finals or the Super Bowl. He has spent the last 11 years working in the advertising world as a tech and media sales executive for Microsoft and Google, and has lived and worked in Spain, the US and Dubai. In 2017 he spent three weeks in Nepal working with Habitat for Humanity to rebuild a rural community in Dhulikhel. He is a sports writer for ESPN and also the Founder and President of Sportstify content network, an Aquillian Peaks, Inc. venture.